All of us at Smallcapworld are optimists at heart, so when it’s time to write about battery companies, we look for the good story lines. It’s a “glass half full” philosophy. For that reason we are temporarily ignoring lithium ion battery maker A123 Systems (Nasdaq: AONE), which on May 11 posted a first quarter net loss of $125 million, more than twice the loss it reported in the fourth quarter of 2011 and the first quarter a year ago. Quality problems and a slack demand for electrical cars are mostly the blame, according to press statements. Perhaps we can put another lithium ion technology company, Valence Technology (Nasdaq: VLNC), in the same category, being that it is trading at the very bottom of its 52-week range (67 cents as of May 14 with upper end of range $1.34) for many of the same reasons as A123. As optimists, however, we might argue that these low valuations (A123 closed May 14 at 91 cents and was as high as $6.20 last June) may be good bargains. We shall see. If you want to know more about VLNC, listen to the company results conference call May 23 at www.valence.com). San Diego-based Maxwell Technologies (Nasdaq: MXWL, http://www.maxwell.com) makes ultracapacitors and high voltage capacitors that provide energy storage and power delivery solutions for applications in many industries including transportation, automotive, information technology, renewable energy and industrial electronics. It also makes microelectronic products for satellites and spacecraft. While management reduced sales growth guidance durings its earnings call May 9, four insiders bought 48,000 shares at prices between $9 and $10.20, suggesting perhaps that they thought it was a good buy, according to Renewableenergyworld.com. (http://www.renewableenergyworld.com/rea/news/article/2012/05/maxwell-technologies-mxwl-buy-or-steal). Market cap is about $233 million, 52-week range is $8.62-$21.49. MXWL closed May 15 at $8.26, up 21 cents for the day. Reading, PA-based EnerSys (NYSE: ENS, http://www.enersysinc.com) is a little big for our blog (market cap is $1.52 billion) but we’re looking everywhere for some good news. We found it at Motley Fool (http://www.fool.com/investing/general/2012/04/10/1-reason-to-expect-big-things-from-enersys.aspx) which apparently believes that ENS inventory levels indicate the company may see increased demand on the horizon. 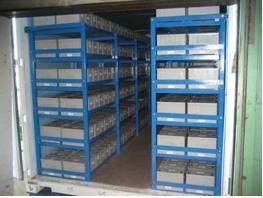 ENS makes industrial batteries, battery accessories, chargers and power equipment. Its 52-week trading range is $17.35-$36.51. Daily trading volume is about 390,000 shares a day. It closed May 15 at $31.44, down 32 cents on the day. Newark, NY-based Ultralife Corp. (Nasadaq: ULBI, http://www.ultralifecorp.com) operates in three segments: Battery and Energy Products, Communications Systems, and Energy Services. It makes a lithium 9-volt battery as well as various other rechargeable and non-rechargeable batteries. Management confirmed its previous guidance of year-over-year revenue growth “approaching double digits,” according to Reuters. ULBI has a market cap of about $74 million and its 52-week trading range is $3.88-$5.50. It closed trading May 15 at $4.16, down 30 cents for the day. New Castle, PA-based Axion Power International * (OTCBB: AXPW.OB, http://www.axionpower.com/) manufactures high-performance, low-cost lead-carbon (PbC(R)) batteries for a variety of markets, including for “mild” and “micro” hybrid vehicles, which are anticipated to be the commonest form of hybrid in the US within a couple of years (and already the most common in Europe). Its PbC batteries are as easy to manufacture as the older lead-acid batteries, but they use activated carbon instead of half the lead. They are lighter and 100% recyclable (unlike lithium ion batteries), and have a higher charge acceptance and faster recharging rates, making them ideal for the growing micro-hybrid and mild hybrid markets. AXPW announced in April that Norfolk Southern had placed an initial order for the company’s PbC batteries for a battery-powered locomotive. AXPW has a market cap of $46 million and a 52-week trading range of $0.25-$0.84. It closed May 15 at $0.38, down 4 cents for the day. Danbury, CT-based FuelCell Energy Inc. (Nasdaq: FCEL, http://www.fuelcellenergy.com) makes high temperature fuel cells for clean electric power generation. FCEL sells its products to electric utilities, independent power producers, universities, waste treatment facilities and other customers. The company has posted three consecutive quarters with “positive gross margins, revenue that beat expectation and a strong backlog, according to Seeking Alpha (http://seekingalpha.com/article/546321-fuelcell-energy-strong-quarter-and-a-shot-at-fuel-cell-profitability?source=yahoo). FCEL has a market cap of $151 million and a 52-week trading range of $0.80-$1.97. It closed May 15 at $1.09, up 5 cents for the day. John O’Dell, a longtime reporter and editor, has written about automobiles for more than 10 years. A former longtime staff writer at the Los Angeles Times, where he covered a variety of beats and was a member of several investigative political journalism teams, he co-founded and wrote for the Times’ premier automotive feature section, Highway 1. In 2007, O’Dell started Edmunds.com’s Green Car Advisor news and features blog on advanced technologies for cleaner, more efficient cars. The blog has now been merged into Edmunds’ AutoObserver.com industry news site. O’Dell is currently senior editor and green car/alternative fuels and powertrains specialist for Edmunds’ AutoObserver.com. Smallcapworld: Will Americans pay up for electric or hybrid vehicles after the early adopters? O’Dell: Yes. The move from early adopters to the broad, general market will take a big longer than many in the green movement had hoped for, however. We don’t see market penetration of electric-drive vehicles of all types — conventional and plug-in hybrids, battery electric and fuel cell electric — topping 5 percent much before 2025 unless there is a significant and permanent increase in the price of gasoline, perhaps as much as $7-8 a gallon. Q: How long will it take and how much will it cost to get a charging infrastructure in place? A: Decades and a couple of billion dollars for the kind of network I think would be necessary to end range anxiety as an issue. A lot less and much more rapidly — perhaps just one decade — if the goal is simply to provide a mix of Level 2 and Level 3 chargers along the major transportation corridors and let people use home charging and a handful of strategically located commercial and public Level 2 chargers in city centers. If the idea is to get plug-in vehicles to actually start replacing conventional ICEs and hybrids in people’s garages, rather than serving as 2nd and 3rd cars for commuter purposes only, then we’ll need Level 3 charging locations just about everyplace there are gas stations in this country, and we’ll need to have multiple chargers at many locations. Either that or batteries that can take 80 percent charges in 3 or 4 minutes and/or a national network of battery exchange stations such as those proposed by Better Place. But if the proper roles of pure electric vehicles is to handle short-distance driving for people who can afford to have two or more vehicles in their garages and can afford to use a fairly high-priced EV as a second car, then we probably only need home charging and a few public chargers and the infrastructure needs are minimal and will occur naturally as people buy EVs. Q: Do pure EVs actually save energy? A: Yes. They are far more efficient than gasoline or diesel engines. Granted, it takes energy to produce electricity, but everything I’ve seen leads me to understand that on a generation-to-wheels basis, electric vehicles are more efficient than petroleum-burning conventional vehicles. Greenhouse gas production is another issue altogether — electric cars are only significantly cleaner than gas cars if we can decarbonize our electric grid. Otherwise, we are just relocating the emissions from the tailpipe to the generating plant. Q: What is the real payback period on pure EVs and/or full hybrids? A: Depends on the intial purchase price and how you are using the vehicles. It will be different for everyone and depends on the premium you pay for the hybrid or EV. Those premiums can range from $3,000 to $10,000, roughly, so it’s not really possible to say that there’s one magic number — 6.8 years or some such — that will get you to payback. If you drive then a lot, they will earn back their costs sooner — particularly if you don’t need any expensive off-warranty repairs. If gas prices continue to rise they will reach payback sooner than if gas prices stagnate or roll back. My wife and I lease a 2011 Nissan Leaf and with all the bells and whistles they hit you with, the lease, including taxes, is $483 a month. That’s ridiculously high in my mind. But we also have a 3 kilowatt solar system on our roof and take advantage of our electrical utility’s special EV owners rate system. The upshot is what we save on household electrical costs and gasoline each month pretty much pays for two-thirds of the lease and makes the whole thing affordable. But that’s our scenario. To figure the real payback period you’ve got to compute the fuel savings along with the maintenance and repair costs — and there’s not a history yet for EV repair costs. Ford has made estimates that its electric Focus would save in maintenance and parts replacement costs for a five-year period. You’ve also got to figure in the social value of reducing national oil consumption and greenhouse gas emissions — that’s important for at least some part of the consumer base. Q: Can auto manufacturers cut carbon and increase mpg with micro-hybrids, or do they have to put a lot of pure EVs on the road to get their fleet numbers down? A: To hit the 2025 CAFE and GHG reduction numbers that administration is proposing we’ll need a lot of micro-hybrids, a lot of conventional hybrids, a lot more improvement in conventional ICE efficiency — which is definitely doable — and some small percentage of battery and/or fuel cell EVs. Q: Will the EC postpone its upcoming carbon mandates so that auto manufacturers can have more time to comply? A: I have no inside knowledge, but I suspect that will be the case. I suspect that will happen here as well, when the 2025 CAFE plan comes up for its midterm review. If the auto industry is adamant that it can’t make the goals in the time stated — and if the consuming public continues to resist the advanced technology vehicles that are necessary to hit the goals, there’s not much else governments can do. Q: With Ener1 virtually gone, A123 staggering and Johnson Controls/Saft torn apart, who will supply the lithium-ion batteries for cars? A: The Japanese and South Korean giants will be a big source initially; Chinese suppliers will come into the market and I’d expect some of the U.S. and European ventures to gain strength and market share, perhaps through consolidation over the next few years. I’m not sure we’ll ever be at a point where 100 percent of the advanced chemistry batteries we need for electric-drive vehicles will be 100 percent U.S. sourced and manufactured, but I don’t think we’ll be entirely dependent on foreign-sourced batteries, either. Q: When will lithium-ion batteries be fully recyclable? A: That’s not my field of expertise, but from what I’ve heard, I expect full recyclability to come hand-in-hand with broad market acceptance of the vehicles that use them. Another decade or so. Q: Will lithium-ion batteries come down enough in price that they will not have to be leased and then sold after a couple of years for other uses? A: Never say never, but probably not for a long time. Q: The assets of Beacon Power were just bought out of bankruptcy by a NY-based energy investor. Do you think that technology is viable in cars? A: Yes, for some applications. Perhaps as power boosters in ICE, hybrid or all-electric sports cars or as the energy storage device in a range-extended plug-in. Q: Is there a real market for advanced batteries in hybrids and EVs, or is it just a limited niche market? A: The market is real, but it will take time to develop. We’re just at the starting gate. Q: The big distributors have yet to commit to anything more advanced than AGM and glass-mat lead-acid batteries. What will break through that stalemate? A: Demonstrated public acceptance of conventional hybrids and plug-in vehicles. Once the market grows beyond the early adopters, I think the big companies will have to start providing advanced batteries, unless they are willing to simply abandon that market. Q: What do you think of PbC batteries or other lead-acid batteries with carbon additives? A: I like the idea, but I simply don’t know enough about the progress that’s been made to have an informed opinion. I’ll have to wait and see. But I’m for any battery that advances us beyond what we’ve got. And I’m chemistry neutral. They say the used car market is hot right now, thanks mostly to the slumping economy. But even a hot market can’t really explain the recent news from CNNMoney that the world’s oldest, still running used car just sold for $4.6 million (http://money.cnn.com/2011/10/10/autos/worlds_oldest_car/index.htm?iid=HP_Highlight). 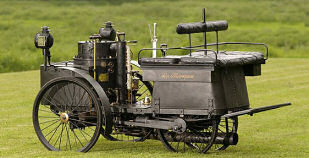 No, this 1884 De Dion-Bouton et Trepardoux, also called “La Marquise,” is a collector’s item and its selling price, according to the report is the “highest price ever paid for an early automobile at auction” and twice what its owners expected. 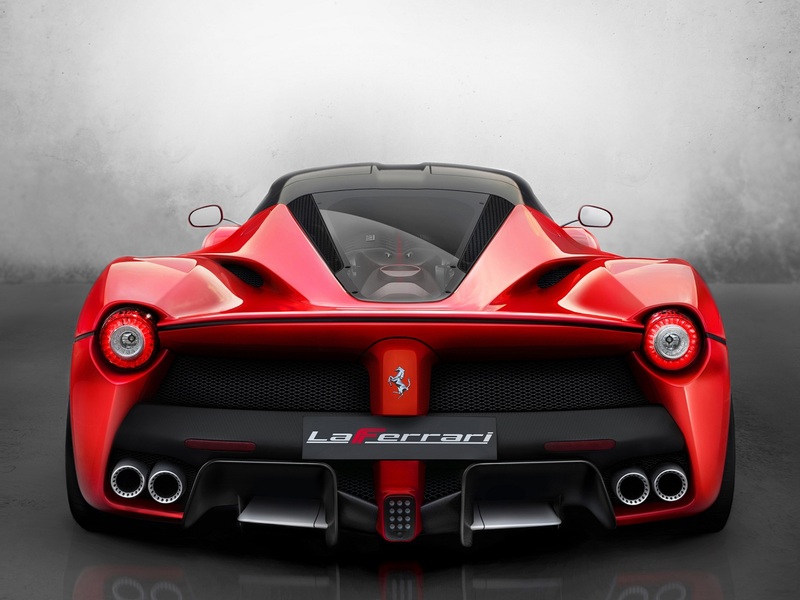 The car certainly offers an interesting look at how automotive technology has changed over the years. This is, in effect, where car technology started: Its fuel was not gasoline, but powered by steam created by “coal, wood and bits of paper.” Top speed is 38 miles per hour but it takes about a half hour to warm up and create enough power to drive it. Cincinnati-based AMP Electric Vehicles * (OTCBB: AMPD, http://www.ampelectricvehicles.com/) is a young company that currently retrofits those sport utility vehicles (SUVs) and crossovers that Americans love to emission-free pure electric vehicles. AMPD is currently working on the Mercedes Benz SUV ML 350; they drop out the internal combustion engine completely and integrate their proprietary electric drive components into the Mercedes, leaving all the safety and luxury components intact. Drivers tell us that the superb M-B performance is not only undiminished; in some ways it is actually enhanced. CEO Jim Taylor is a former President of GM’s Cadillac division and CEO of its former Hummer division. We anticipate announcements about the Jeep Cherokee as well. The stock trades thinly, as often happens in such early stage companies, and is currently selling for $0.50. Its 52-week high is $1.05. New Castle, PA-based Axion Power International * (OTCBB: AXPW.OB, http://www.axionpower.com/) manufactures high-performance low-cost lead-carbon (PbC(R)) batteries for a variety of markets, including for “mild” and “micro” hybrid vehicles, which are anticipated to be the commonest form of hybrid in the US within a couple of years (and it already is the most common in Europe). Its PbC batteries are as easy to manufacture as the older lead-acid batteries, but they use activated carbon instead of half the lead. They are lighter and 100% recyclable (unlike lithium ion batteries), and have a higher charge acceptance and faster recharging rates, making them ideal for the growing micro-hybrid and mild hybrid markets. AXPW stock closed Oct. 10 $0.51, near the low end of its 52-week range ($0.42-$1.27). San Carlos, CA-based Tesla Motors (Nasdaq: TSLA, http://www.teslamotors.com/) manufactures the Tesla Roadster and other electric vehicles and electric powertrain components. With a market cap of $2.9 billion it’s really out of our smallcap focus, but it certainly should be included in even a brief survey of new automotive technologies. Its stock was highest (more than $35) about a year ago but like many companies now is languishing. It closed Oct. 10 at $27.80. Northville, MI-based Amerigon * (Nasdaq: ARGN, http://www.amerigon.com/) is the world’s leading marketer of thermoelectric technologies for automobiles and is best known for its actively heated and cooled seat systems featured in more than 50 vehicles. But it is winning new headlines for a thermoelectric generator (TEG) that the company is developing with partners including BMW, Ford and Caltech’s Jet Propulsion Lab. The TEG converts waste exhaust heat into electricity, a technology that has been shown to reduce toxic emissions and increase fuel economy along with providing a much needed new source for electricity in a vehicle. The TEG is currently being tested in a BMW X6 and Lincoln MKT. The stock closed Oct. 10 at $14.02, down from its $18.18 high for the past year, but above the $9.33 low. Oak Park, MI-based Azure Dynamics (Toronto: AZD.TO, http://www.azuredynamics.com/) develops and manufactures electric power trains for light and heavy-duty commercial vehicles, including vans and buses. The company is best known for partnering with Ford and building the electric drivetrains for the all-electric Ford Transit Connect. Azure recently announced that it is enrolling Ford truck dealerships across North America to be electric Transit Connect dealers and service centers, the sale of 100 electric Transit Connect vans in Europe, and the sale of 34 electric Transit Connect to municipalities and a regional governmental authority in North America. Its stock closed Oct. 10 at $0.15 with a 52-week range of $0.11-$0.41.